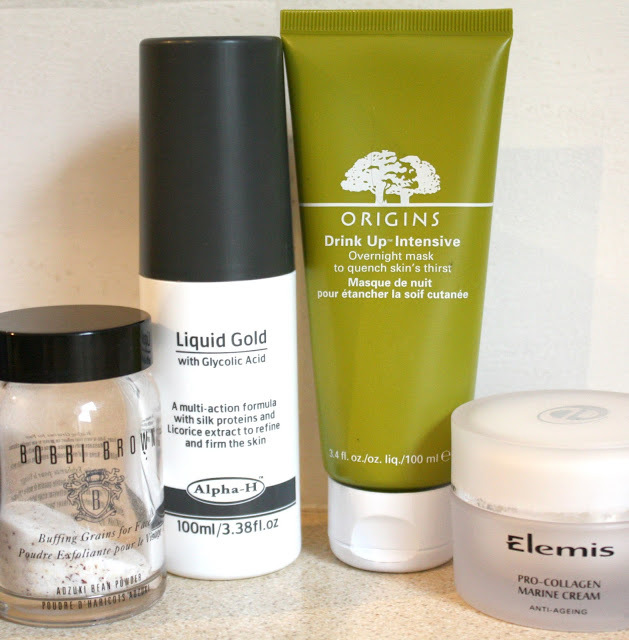 Google On The Dressing Table: Top Tips For Better Skin - My Guest Post! Top Tips For Better Skin - My Guest Post! Hello you lovely people! This is just a quick update to let you know i recently wrote a guest post for Lipglossiping.com which i am really proud of and i would love for you to go and have a read of it here and let me know what you think? Thank you so much to all of you who have been reading and commenting on my recent posts, it really does make my day to hear your feedback, and if there is anything you would like me to write about please do let me know and i will do my best to cover it. I love Origins Drink Up Intensive Mask, but I still haven't tried Liquid Gold! I want to though. I have never heard of the BB buffing grains. Would you recommend them or can you think of any cheaper alternatives?